I know this will be a shocker…but I have an ego. It’s the only thing that counter-balances my complete self-consciousness; the kind that is usually soothed by Ben and Jerry’s Chunky Monkey or a wheel of brie. 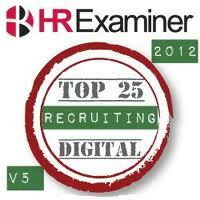 John Sumser, founder of the HR Examiner, publishes Top 25 lists in a variety of HR disciplines. With the help of social media marketing groups, in this case Social Ears, the HR Examiner is able to determine through keyword searches, what HR pros- at this brief moment- seem to be the most influential knowledge leaders in certain subjects. I was surprised to discover that I made the latest Top 25 Online Influencers in Recruiting. Just squeaked by… I was number 25. This was a B-12 shot to my ego. Many HR pros are afraid, ashamed and embarrassed to admit that they have an ego. What a shame, for having an ego isn’t a bad thing. I’m not talking about narcissism. Narcissist can be harmful individuals. What I’m talking about is good ol’ fashioned ego; the stuff confidence is made of. The fuel behind Babe Ruth’s pointing out where he would hit his next home run, Madonna’s ability to reinvent herself, and Bill Clinton’s undeniable charisma. Without ego, Steve Jobs may not have had the audacity to think he could reinvent the phone. I mean come on…reinvent the phone? Ego is a component that helps your subconscious defense mechanisms “protect you from the anxiety of confronting your weaknesses and foibles” (psychology today). I guess too much of this component causes denial…but healthy amounts help me believe that my “inability to spell” is really a sign that I am more “creative-than-detail-oriented”. Yea me-I rock. And if this gets me through the day, so be it. Lots of successful leaders need this to get through the sometimes horrible job of making hard decisions regularly. And HR pros, not always known for their incredible charisma or their ability to courageously go against the grain could stand to use a healthy dose of ego. So, John Sumser and the HR Examiner… my ego thanks you. I will be able to ignore my numerous faults for a few more days. Of course I still have a pint of Chunky Monkey in the fridge when the shot wears off. Congrats lady – to you and the ego. NextPersonality Doesn’t Mean Nuthin’. Don’t Bother Assessing Pre-Hire.